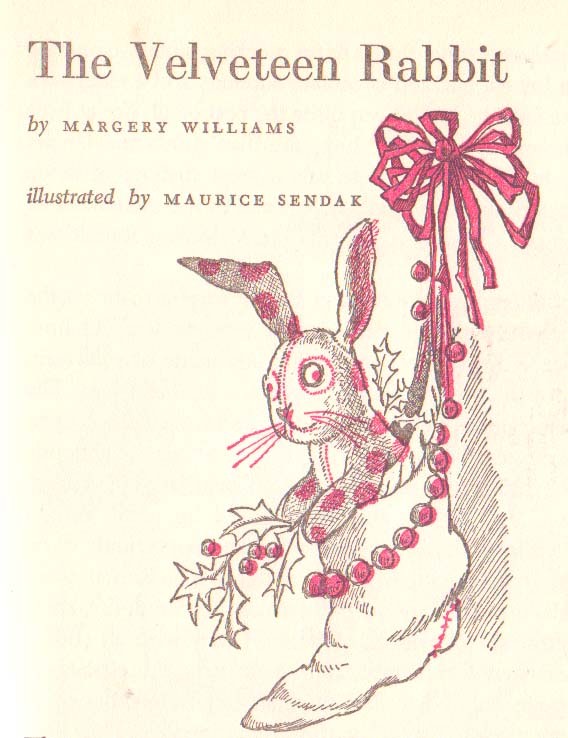 Who knew that Maurice Sendak of Where-the-Wild-Things-Are fame once illustrated the tender children’s story of a well-loved rabbit? “Rarely do we genuinely share how we really feel, what our fears are, and how difficult it is to be who we are. Rarely do we admit anyone into our inner space where fear, struggle and inadequacy make themselves felt. We all go through life posturing strength, pretending; lying really, giving off the impression that all is easy and that friendship, health, achievement and attractiveness are easeful and automatic. Our weakness and fears, much more so than our achievements and successes, drive us inward and put us in touch with what is deepest, softest and most worthwhile within the heart.